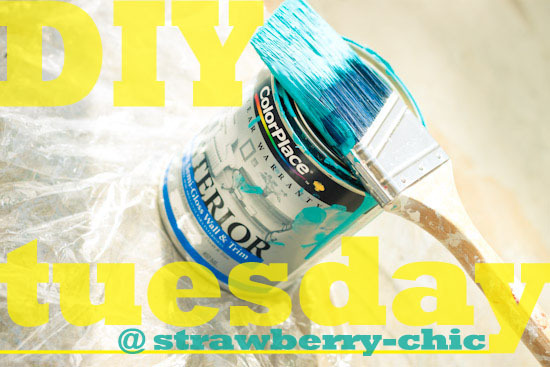 I am excited to announce that Strawberry-chic will be starting "DIY Tuesday!" So, every Tuesday you can look forward to a new DIY design project created by myself or other awesome bloggers and friends! DIY projects are one of my favorite things to find when I am doing my "blog searches." It's so much fun to be able to personalize your home with furniture and accessories that you have made yourself! Plus, it is almost always the less expensive way to decorate (unless you find a Super Awesome Deal somewhere). Or share a link on my Facebook Page!